Lexington KY Social Worker Caught Lying - Charged with "Misconduct"
Parents who have had a social worker by the name of AUDREY POWELL out of the Lexington or the surrounding areas: Powell was arrested after being charged with official misconduct and theft of identity charges after allegedly posing as another social worker named Hannah Bailey. We have been apprised that every social worker has a ID password to identify themselves when they log into the CPS system, so how did she gain access to Ms. Bailey's ID? Should the question be raised as to whether Hannah Bailey was conspiring with Powell to assist her in extorting Griffin to reconcile their two month relationship? If Powell or Bailey have been or are currently the social workers assigned to your case you should request, no, insist, a new investigation commensurate. Powell's credibility is diminished and every case she oversaw should be re-investigated. Powell's alleged actions in this case have revealed the extent to which she would go for her desired outcome. NOTICE TO ALL: GOVERNING Agents and Policy ENFORCERS and any employee of the U.S. CORP. GOVERnING BODY. Or the so-called STATE [KY.]. THEY LIE all the time ,its part of their JOB .they think they are little gods. In the first place they are not police man, they are policy Enforcers, they Force policy, RULES & STATUES, Regulations, codes, ordinances. On men and women .NOT COMMON LAW, I can just refuse to consent to DO anything they ASK YOU TO DO..I DO NOT HAVE TO REPLY TO ANY QUESTION THEY ASK. ! ! Just SAY I reserve ALL MY RIGHTS EXPLICITLY! I DO NOT CONSENT TO ANY THING YOU WANT ME TO DO!! I will not FIGHT or resist you ,but, on and for the record I Freeman of a Kentucky family A free man on the land of The Free Republic of Kentucky; I DO NOT CONSENT to Any and all of your demands upon me!I will Just sit down and shut-up! I WILL NOT Respond to any Question, no madder how small,I never say (OK)! !I DON'T REPLY TO ANY THING HE ASK me just say(NO)I did not do anything you say I did, THAT IS YOUR (Opinion)NOT FACTS!I DON'T NEVER SAY [OK]!..I DO NOT MAKE A PLEA! Or Take A PLEA! Or let anyone enter a plea for you. Including(but not limited to ) the judge! Just say; [Objection] I don't consent for you to enter a plea for me at this time I would like my DISCOVERY! I DON'T UNDERSTAND and I don't stand under, your U.C.C. STATUES! The U.C.C. STATUES is for CORPORATIONS! I do not consent to anyone or anybody or anything to take power of Att. over me (the man ).I RESERVE ALL MY RIGHTS EXPLICITLY ;I don't give up any of my rights at any time ,for any reason !. _signed by: Freeman of a Kentucky Family. _by:_______________ofthe_________________family / /2016 wittnes by:________________ofthe__________________family/ / /2016 by:__________________ofthe____________________family/ / / 2016 OPINIONS ARE NOT LAW ! ;No victim No Crime;No contract No case;No Jurisdiction NO CASE ! ! Michelle-Mckenzie- said: > Glad to see this happen Now they need to come to Jessamine County investigate !! My sister is going threw with workers in that county !! This below is her story! > > I am a single mother of two children and one on the way. Currently I'm fighting dcbs to get my two kids out of foster care and back with me. My children have been placed into 4 different places during all of this. However I have completed more then just one prevention plans two different workers, appeared in court , did my classes and have done this since Jan of 2015! I lost my kids my car and my home..and without any help from the cabinet I'm living at my mom's in which now I have been told in march 2016 I will not be allowed to bring my new daughter home she is not even born yet ! My cause has been on allegations of he said she said a lot of mistakes on my case that needs to be reviewed. Their has been appeals filed, calls to the ombudsman office as well to Frankfort Region office still nothing!! I'm highly upset with the fact that people like me who have been a victim of sexual abuse as a child and in a abusive relationship have to be spoken, knocked down by these workers. My sister tried to place my kids in her home and of course she was put down, also discriminated cause her children who had disabilitys all she was trying to do is give my children a place other then foster care . My other family members who also tried was knocked down too all though my case worker and her manager on several communication said ( we like to place the kids with family first) in my case my family wasn't good for them . NOTICE TO ALL: GOVERNING Agents and Policy ENFORCERS and any employee of the U.S. CORP. GOVERnING BODY. Or the so-called STATE [KY.]. THEY LIE all the time ,its part of their JOB .they think they are little gods. In the first place they are not police man, they are policy Enforcers, they Force policy, RULES & STATUES, Regulations, codes, ordinances. On men and women .NOT COMMON LAW, I can just refuse to consent to DO anything they ASK YOU TO DO..I DO NOT HAVE TO REPLY TO ANY QUESTION THEY ASK. ! ! Just SAY I reserve ALL MY RIGHTS EXPLICITLY! I DO NOT CONSENT TO ANY THING YOU WANT ME TO DO!! I will not FIGHT or resist you ,but, on and for the record I Freeman of a Kentucky family A free man on the land of The Free Republic of Kentucky; I DO NOT CONSENT to Any and all of your demands upon me!I will Just sit down and shut-up! I WILL NOT Respond to any Question, no madder how small,I never say (OK)! !I DON'T REPLY TO ANY THING HE ASK me just say(NO)I did not do anything you say I did, THAT IS YOUR (Opinion)NOT FACTS!I DON'T NEVER SAY [OK]!..I DO NOT MAKE A PLEA! Or Take A PLEA! Or let anyone enter a plea for you. Including(but not limited to ) the judge! Just say; [Objection] I don't consent for you to enter a plea for me at this time I would like my DISCOVERY! I DON'T UNDERSTAND and I don't stand under, your U.C.C. STATUES! The U.C.C. STATUES is for CORPORATIONS! I do not consent to anyone or anybody or anything to take power of Att. over me (the man ).I RESERVE ALL MY RIGHTS EXPLICITLY ;I don't give up any of my rights at any time ,for any reason !. _signed by: Freeman of a Kentucky Family. _by:_______________ofthe_________________family / /2016 wittnes by:________________ofthe__________________family/ / /2016 by:__________________ofthe____________________family/ / / 2016 OPINIONS ARE NOT LAW ! ;No victim No Crime;No contract No case;No Jurisdiction NO CASE ! ! Amanda said: > Admin said: > > Parents who have had a social worker by the name of AUDREY POWELL out of the Lexington or the surrounding areas: Powell was arrested after being charged with official misconduct and theft of identity charges after allegedly posing as another social worker named Hannah Bailey. > > > > We have been apprised that every social worker has a ID password to identify themselves when they log into the CPS system, so how did she gain access to Ms. Bailey's ID? Should the question be raised as to whether Hannah Bailey was conspiring with Powell to assist her in extorting Griffin to reconcile their two month relationship? > > > > If Powell or Bailey have been or are currently the social workers assigned to your case you should request, no, insist, a new investigation commensurate. > > > > Powell's credibility is diminished and every case she oversaw should be re-investigated. Powell's alleged actions in this case have revealed the extent to which she would go for her desired outcome. > > I am currently involved with a case involving dcps. I have been harrassed throughout the whole case. I wasnt even involved with none of the event that happened and for me trying to prptect my children I was threatened by them. Now I am cpnstantly harrassed and now they have recieved allegations from their grandfather and it is under investigation and all of this is for retaliation. This event has caused me to become emotionally distraught. They have evaded my personal life. These people have violated my rights in several different ways. I am going to have to seek physiological treatment due to this matter. Yes but these arent the social workers their are others. I been to ombudsman 2 and I have also been to speak with someone at the governor's office. I mean the cabinet isnt worried about children. They are worried about power. My sons dad plead guilty to assault 4 @ guilty to the stimulations in this case. He also has several unsubstantiated abuse and neglect charges involving these children and nothing has been done. They were left in the same situation. My child have been abused and neglected for years by this man. Gis father filed false allegations against me and they are investigating them. This case makes no sense what so ever. I need help . My rights have been violated in many different ways and these. People have caused to have a severe mental breakdown. Michelle-Mckenzie- said: > Glad to see this happen Now they need to come to Jessamine County investigate !! My sister is going threw with workers in that county !! This below is her story! > > I am a single mother of two children and one on the way. Currently I'm fighting dcbs to get my two kids out of foster care and back with me. My children have been placed into 4 different places during all of this. However I have completed more then just one prevention plans two different workers, appeared in court , did my classes and have done this since Jan of 2015! I lost my kids my car and my home..and without any help from the cabinet I'm living at my mom's in which now I have been told in march 2016 I will not be allowed to bring my new daughter home she is not even born yet ! My cause has been on allegations of he said she said a lot of mistakes on my case that needs to be reviewed. Their has been appeals filed, calls to the ombudsman office as well to Frankfort Region office still nothing!! I'm highly upset with the fact that people like me who have been a victim of sexual abuse as a child and in a abusive relationship have to be spoken, knocked down by these workers. My sister tried to place my kids in her home and of course she was put down, also discriminated cause her children who had disabilitys all she was trying to do is give my children a place other then foster care . My other family members who also tried was knocked down too all though my case worker and her manager on several communication said ( we like to place the kids with family first) in my case my family wasn't good for them . Jessamine Co social services are the WORST. They do as they please with no regard to people's lives. I always thought that there main mission was to reunite family's, boy was I mistaken. 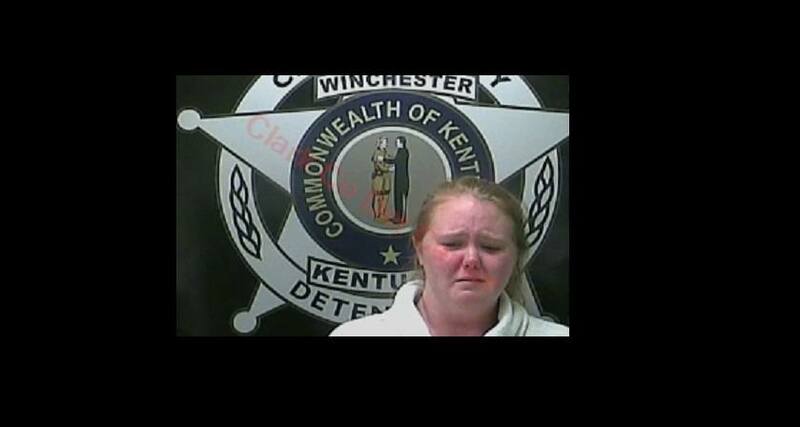 Admin said: > Parents who have had a social worker by the name of AUDREY POWELL out of the Lexington or the surrounding areas: Powell was arrested after being charged with official misconduct and theft of identity charges after allegedly posing as another social worker named Hannah Bailey. > > We have been apprised that every social worker has a ID password to identify themselves when they log into the CPS system, so how did she gain access to Ms. Bailey's ID? Should the question be raised as to whether Hannah Bailey was conspiring with Powell to assist her in extorting Griffin to reconcile their two month relationship? > > If Powell or Bailey have been or are currently the social workers assigned to your case you should request, no, insist, a new investigation commensurate. > > Powell's credibility is diminished and every case she oversaw should be re-investigated. Powell's alleged actions in this case have revealed the extent to which she would go for her desired outcome. I am currently involved with a case involving dcps. I have been harrassed throughout the whole case. I wasnt even involved with none of the event that happened and for me trying to prptect my children I was threatened by them. Now I am cpnstantly harrassed and now they have recieved allegations from their grandfather and it is under investigation and all of this is for retaliation. This event has caused me to become emotionally distraught. They have evaded my personal life. These people have violated my rights in several different ways. I am going to have to seek physiological treatment due to this matter. The gay community is behind the majority of newborn baby's being removed from natural mother. Would this woman ever have had occasion to come to Clark County for her work? Powell made a text claiming to be Bailey. She did not use an ID number. Look, I understand it is the deepest offense to be falsely accused, but isn't this what you are doing to Bailey? Why would you want to hurt someone and their reputation the way so many of you have been hurt? Glad to see this happen Now they need to come to Jessamine County investigate !! My sister is going threw with workers in that county !! This below is her story! I am a single mother of two children and one on the way. Currently I'm fighting dcbs to get my two kids out of foster care and back with me. My children have been placed into 4 different places during all of this. However I have completed more then just one prevention plans two different workers, appeared in court , did my classes and have done this since Jan of 2015! I lost my kids my car and my home..and without any help from the cabinet I'm living at my mom's in which now I have been told in march 2016 I will not be allowed to bring my new daughter home she is not even born yet ! My cause has been on allegations of he said she said a lot of mistakes on my case that needs to be reviewed. Their has been appeals filed, calls to the ombudsman office as well to Frankfort Region office still nothing!! I'm highly upset with the fact that people like me who have been a victim of sexual abuse as a child and in a abusive relationship have to be spoken, knocked down by these workers. My sister tried to place my kids in her home and of course she was put down, also discriminated cause her children who had disabilitys all she was trying to do is give my children a place other then foster care . My other family members who also tried was knocked down too all though my case worker and her manager on several communication said ( we like to place the kids with family first) in my case my family wasn't good for them . In my experience, ALL these case workers and supervisors lie and because of all the laws that they have erected around thems selves do so with out fear of going to jail, I hope that this is the first of many that are being caught.